Southampton graduate Giles Scott. Picture courtesy of Royal Yachting Association. 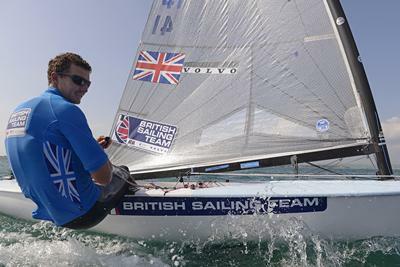 Southampton graduate Giles Scott continued a tradition of British dominance in the Finn sailing class by winning the gold medal at Rio 2016. 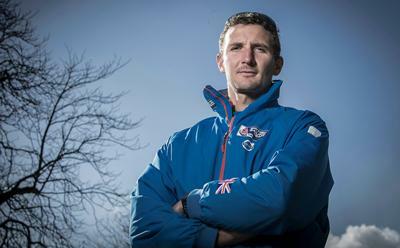 Scott, who earned his degree in Geography with Geology from the University in 2008, followed in the footsteps of Iain Percy, Finn champion in Sydney 2000, and Sir Ben Ainslie, three-time gold medal-winner in the heavyweight dinghy from Athens in 2004 to London in 2012. The 29-year-old all but wrapped up first place in Rio after the ten preliminary races. By coming second in the final Medal Race, won by bronze medallist Caleb Paine of the USA, Scott confirmed the gold with a final 32-point victory margin on his Olympic debut. “It's not often you can say you've won an Olympic Games before the Medal Race,” said Scott, the four-time Finn world champion. “We knew coming into Rio that the racing wasn't going to be easy and regardless of form, it was always going to be a hard week, and it certainly was that. Much had been made in the build up to Rio 2016 around whether Scott, the firm favourite before the Games, and whether he would be able to step into the history-making shoes left by Sir Ben Ainslie. For the University of Southampton’s remaining competitors in Rio 2016, the results didn’t bring medals but the experience for some could bring future success. Ship Science graduate Pavlos Kontides, who won silver in London 2012 in the men’s Laser competition, finished seventh in Rio. In the women’s Laser Radial, Civil Engineering graduate Alison Young finished strong by winning the final Medal Race but came eighth overall. After the race, Alison revealed she had suffered a broken ankle in a training accident eight weeks out from the Games, and had undergone an intensive rehabilitation programme to get her onto the Olympic start line. But the 29-year-old was adamant that injury had not hindered her performance in Rio. “Four weeks out from the Games I couldn't sail but it's been a fantastic effort from the team to get me into a really good shape to race here,” said Alison. “It altered my preparation but it hasn't affected my performance here. There are no excuses I just failed to perform under pressure. “A week out I was in good shape sailing well and I was sure I was going to be competitive here,” she continued. “It’s doubly disappointing to have performed so poorly for most of the regatta, and to have let down those guys and not reflect the efforts they've put in to get me to the start line over the last eight weeks and the last four years. “Tokyo 2020 - that seems a very long time away, but there's plenty to work to get right from here,” Alison concluded. International Management student Lily Xu, the defending Olympic champion, made an excellent start in the women’s Laser Radial competition but struggled through some difficult conditions during the latter stages and eventually finished 18th overall. 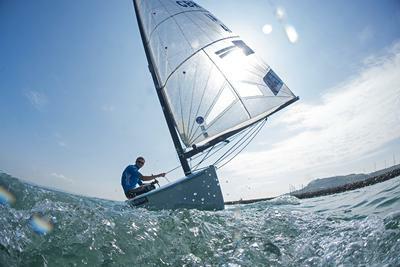 Olympic debutants Ben Saxton, a Southampton Business Studies graduate, and sailing partner Nicola Groves, also made an early challenge for a place on the podium in the mixed Nacra 17 multihull before finishing ninth. “You need to be able to nail every single day, we said that coming in to the event, and we tried it,” said Ben. Giles Scott on the water. Pictures courtesy of Royal Yachting Association.